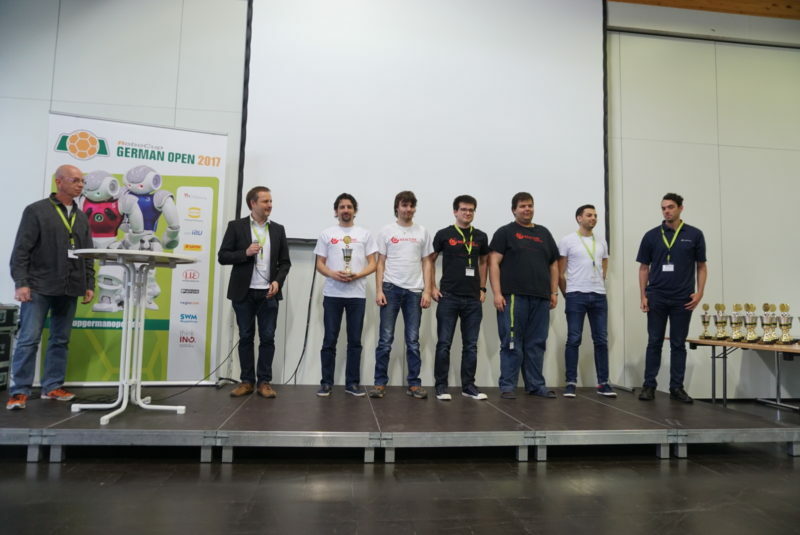 The RoboCup German Open has ended with fantastic results! and finally at the sub-contest for the most mobile robots (Best-in-Class Mobility) we have taken the 2nd place. 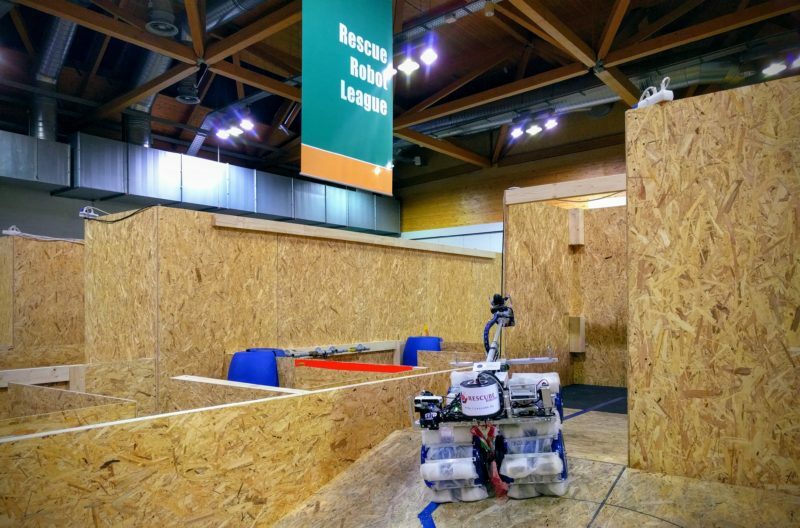 We are now very proud and happy, and also the result of the main competition has now officially qualified us to enter the 2017 RoboCup World Championship in July in Nagoya, Japan. We are on the way back home, will get beck to you soon with photos and details! 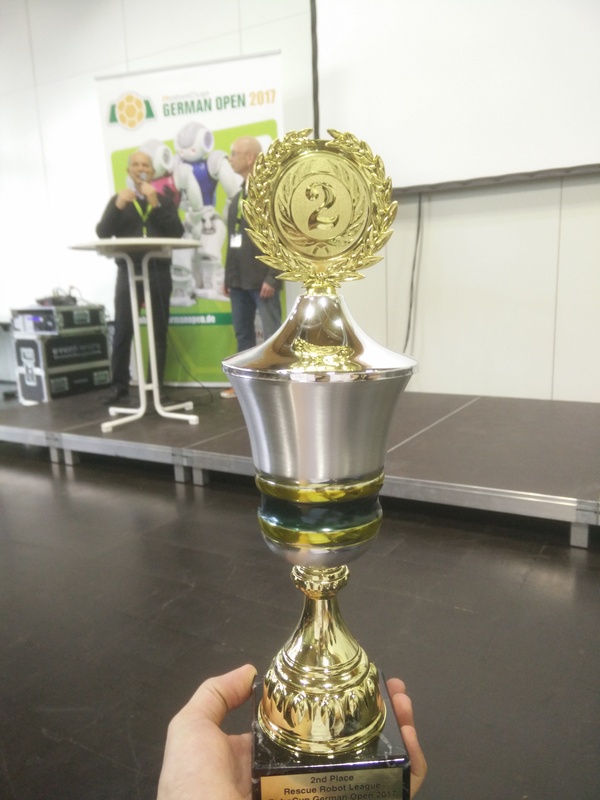 As you may know, the entrance for the RoboCup world championship leads through the European (German) qualification round, the RoboCup German Open. 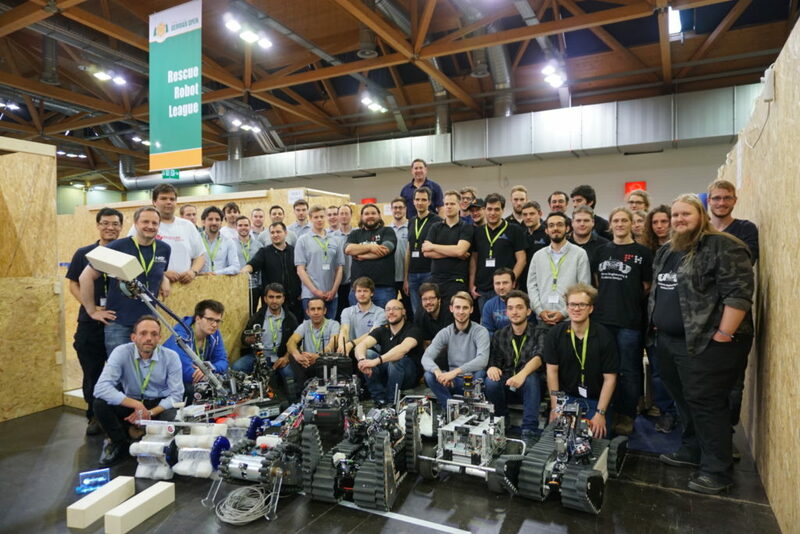 We have been in Magdeburg since Tuesday and we are proud to announce that based on the preliminaries held on Friday and Saturday we are currently ranked second out of the six teams. We seem to have a though Sunday: besides the main competition we are going to battle for the Best-in-class Mobility and Best-in-class Dexterity titles as well.